IWN Website Services can point, transfer, search and register my existing and new domain name. Already have a domain name registered? No problem. We can point it to your web server’s IP Address. It’s quick and easy with my help. Unhappy with your current domain name registrar? Switch to Google Domains. It only costs $12. And takes less than 30 minutes to process. Several steps need to be taken before you register that new domain name. I will help you find the absolute best domain name for your brand. Domain Names are brands. It’s important to register your brand not only as a domain name, but on all social media channels, too. © Copyright 2019. Internet Webpages Newspaper Inc. All rights reserved. 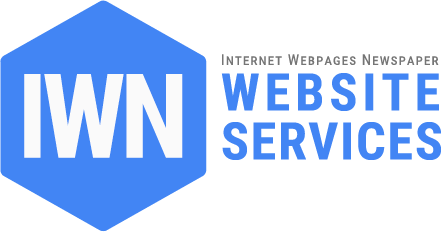 IWN Website Services is an IWN brand.